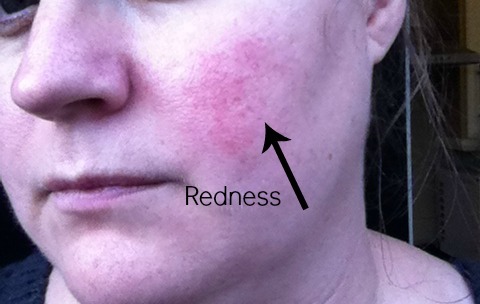 For as long as I can remember I have had red blemishes on my cheeks, some refer to it as Roseacea and others mild flushing, whatever it is, it sometimes really annoys me and I do as much as I can to cover it up with make-up. 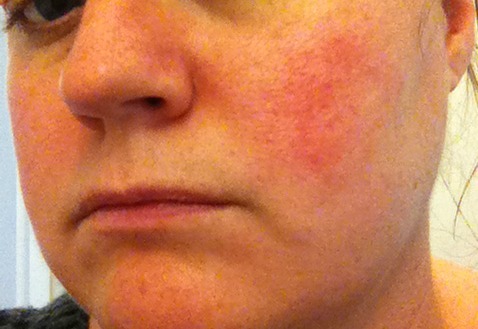 As you can see from the two photos below, taken inside and outside, the redness is clearly visible for all to see. 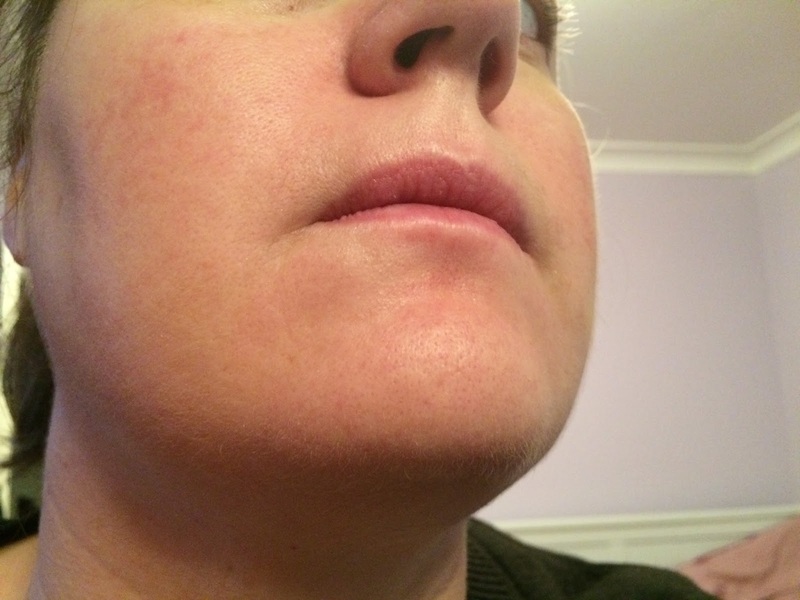 So I was asked if I would like to try some products that might help combat the blemishes by Salcura Antiac Skincare line** which I have seen on Channel 4's embarrassing bodies. Naturally I agreed to try some to see if there was anything, other than lots of BB cream and foundation that could hide, cover and get rid of the redness. So I was sent these lovely products to try. All Salcura products contain an ingredient called Sea Buckthorn oil which is referred to as a 'Super Ingredient' and it helps to reduce inflammation, it calms and soothes the skin and helps to nourish and cleanse the skin. Derma Spray - This product is said to have a proven track record and is our most effective and practical solution for eczema, psoriasis, dermatitis, rosacea and other related skin conditions. You can and it is suggested that you spray this onto your face 3-4 times a day, so I tend to use this only at weekends and when it is on the skin, it instantly absorbs itself and leaves your skin feeling soft and moisturised. 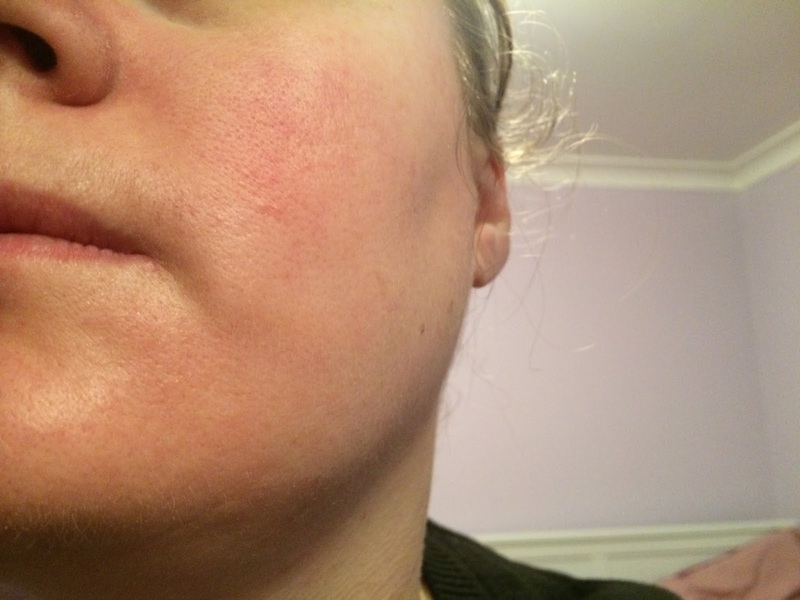 Designed for people with dry skin, another condition I tend to suffer from on my cheeks more than anywhere and since using this, I have noticed a big difference. It does contain Tea Tree Oil and Eucalyptus Oil which give it a definite scent. It retails for £14.99 for 100ml but there are other sizes available. Daily Face Wipes - Yes, before some of you start typing in capital letters in the comment box below about the evils of face wipes, these ones contain no nasties and nor will they leave your skiin feeling really dry after using. They are really moisturising and offer effective deep cleansing, ideal for on the go and they help remove hardened sebum (yuck) as well as excess oils, dirt and grime. They retail for £6.99 and you get around 25 wipes. All Salcura products are free from chemicals that are known to cause additional sensitisation of the skin. Totally free from parabens, SLS, perfumes, steroids, antibiotics, hormones, lanolin, cortisones, soaps, phthalates and peroxides. Wow they have worked so well for you!!! !